Go to the American Legion Membership Section (blue icon lower left of page) and click. Renewal site will pop up. All of the above are based on using your credit card to purchase your membership. This process saves postage and renewal notices being sent several times during the membership renewal period. This saving accrues to the Post, the Colorado Department and the National American Legion. Considering that the American Legion in the U.S. has over a million members you can envision what a savings can result in paper, stamps, and multiple notices. Savings in the Members Renewal process will all accrue to the veteran and youth programs our membership dues purchase. Less administrative cost will result in greater service benefits being offered by the American Legion at all levels from the Post to the National. The Post Membership Chairman or Adjutant is notified of your renewal by any of the above three renewal processes you select. Your on line renewal will not be overlooked and you will receive your membership card. Please consider on line membership renewal this coming year. Sign up now and your information will be available to the National Office when it begins to solicit for next year’s membership in July. Automatic Annual Renewal. 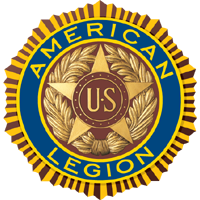 By this process you authorize the American Legion to retain your credit card information. On July 15 of each year you will receive an e-mail notice from National that your membership has been charged to your account. This process would continue until you inform the National Office to cancel this process. Automatic Notification To Renew Your Dues. National will record your e-mail address and they will notify you by e-mail, in July of each year that your Post membership is now due. This will be your first notice of renewal and would replace the postal letter you now receive. This is where a great deal of administrative cost savings will result as National goes through the process of sending the annual dues notice.